As I write this early on Friday morning, the BBC’s weather forecast website suggests that we’re in for a cracking weekend. 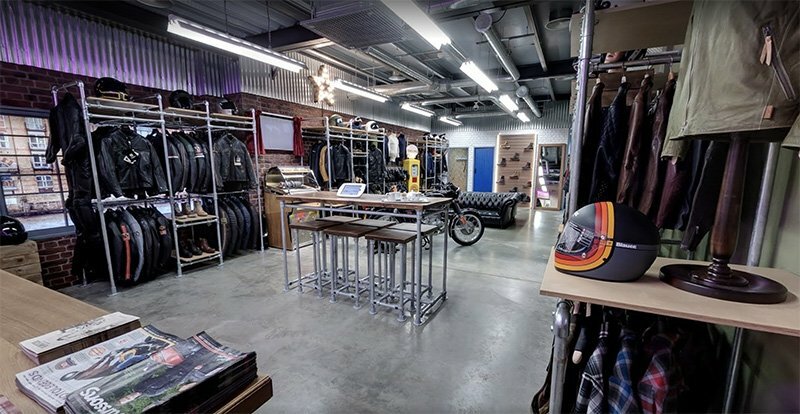 The weather is probably more suited to riding than shopping but, of course, we’ll all be here in case there’s something you need. On Saturday, we’ll be open from 9am and will close at 5pm. On Sunday, we’re open from 10am to 4pm. Ditto on the Monday. We’ve had lots of interesting new gear arrive with us in recent weeks so, as ever, there will be stuff you’ve never seen before. Tea and coffee will be here in plentiful supply and, before Sean went on his trip to Italy, his Mum baked us loads of biscuits. So we hope to see lots of familiar faces. In one of our bulletins a couple of weeks ago, we suggested that you shouldn’t buy a TomTom 450 because a new model was on its way. Well now the new TomTom 550 is here. 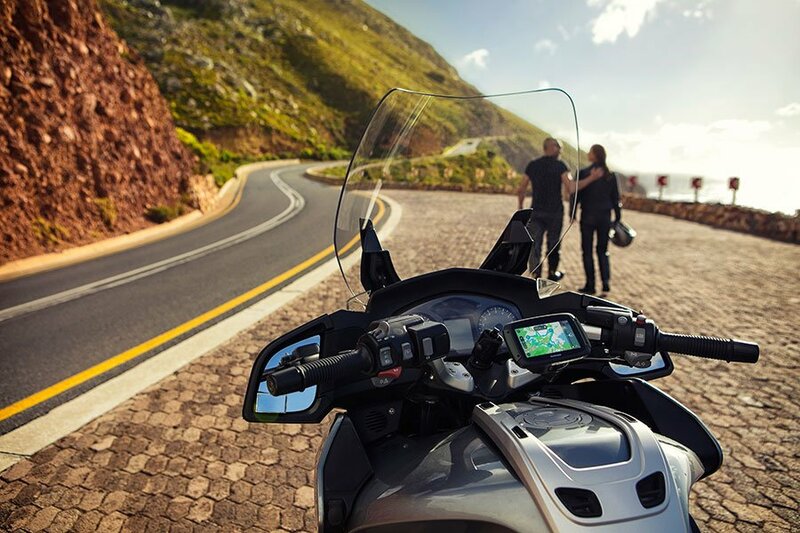 In recent years, TomTom really has become the number one player in motorcycle satnavs. And, as far as we’re concerned, that’s solely on the back of better, more feature-laden, cleverer and more intuitive products. These guys simply produce a better device. Now, as ever, it’s got some features that are going to go over most people’s heads. The new 550 will allow you to use Siri for calling, messaging, checking the weather, and so on. But the new TomTom will also update its maps via built-in WiFi, so when an update becomes available, you simply connect and download. The 550 is also powered with a fast, new quad-core processor, meaning that it will run even faster than before. Of course, you still get all the usual gubbins: lifetime world maps, and lifetime traffic updates, allowing you to avoid traffic in real time. It’s just like the previous 450; you just get more and better including, with the Premium model, a motorcycle mount, a RAM mounting kit, a car mounting kit, an anti-theft fitting, and a protective carry case. It has been much anticipated, and now it’s here; Stylmartin’s famous Rocket boot has now eventually been produced in black. It’s always been a favourite of ours. It’s almost certainly the tallest, short boot on the market, but that doesn’t make it difficult to wear because it comes with a full-length side zip. It has a rugged Vibram-style sole and protection in the toe, heel and ankle areas. As you would expect, there’s a gear change pad and, to stop the laces from flapping in the wind, there’s a strap that keeps them out of sight. The Rocket is also waterproof with a full-height gusset that runs almost to the top of the zip. But what we like most about the Rocket is its new leather. We’ve got nothing against the brown version, but the leather used in this new boot is softer and more supple. The Rocket's made from a greased leather that gives it a bit more cred. It’s a great boot, and even though Stylmartin’s prices have gone up recently, we reckon it still offers good value because it's a lot of boot. If you’re a customer, you’ll know that the above doesn’t apply to Motolegends. We’re more about quality gear and service. But many retailers, often those who prefer to spend their weekends and Bank Holidays at home in the garden, run special weekend promotions in the hope of returning to work on the Tuesday with lots of orders to download from their websites. Well, of course, we’ll beat any deals or offers on anything we sell by a full 10%. 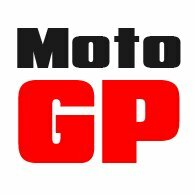 All you have to do is email us at pricebeat@motolegends.com with the offer you’ve found; we’ll then confirm our acceptance and email you a special code. We’ll always do ‘Price Beats’ in the shop although, in truth, you can apply for it up to a fortnight after you make your purchase. If the discounting retailer is in the EU, we’ll match their price, which we think is fair. Anyway, we just thought you should know. The way we see it, zero percent finance is just like free money. And who wouldn’t benefit from a bit of free money? It doesn’t matter what you buy; if it all adds up to £400 or more, you can use our finance option. It’s simple to set up and simple to understand. Here’s an example. Let’s say you buy a £500 jacket. You’ll pay a £50 deposit. You’ll then pay £37.50 for the next 12 months. The total comes to £500. No admin or set-up charges. No interest. Nothing. You can set up finance in the shop. Or online. If, by the way, you buy a Rukka jacket or pant, you can get 24 months finance. On Stadler, we offer an amazing 36 months, meaning that you can buy what we reckon is just about the best motorcycle suit on the planet for just £40 a month! Honestly, getting finance on your bike gear couldn’t be simpler. It’s so quick and easy and our rejection rate is the lowest in the industry. We reckon it’s always worth paying extra to get the best gear you can possibly afford. That was always easy to say. Now it’s easy to do as well!